I thought I might be able to bring a sense of nuance and perspective to people's understanding of a faith that has been much ridiculed. Just as I have done with other non-mainstream stories, I hoped to see it from the inside and make a human connection with its clerics and congregants. 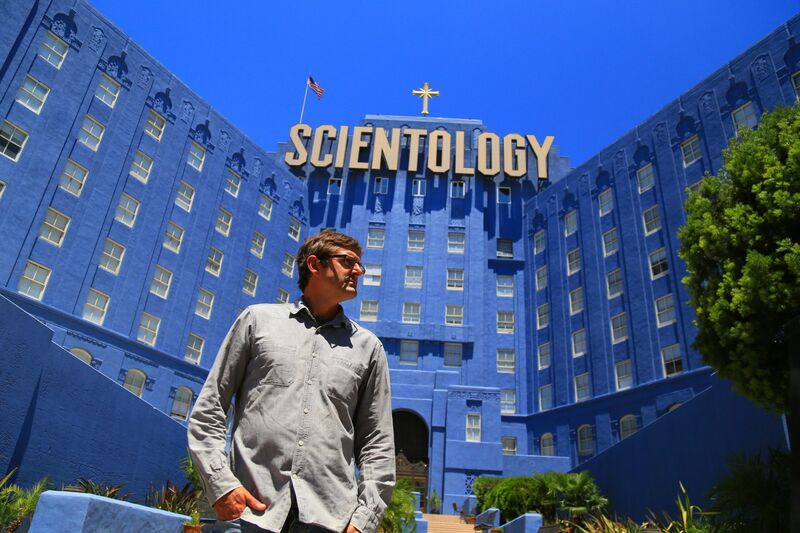 The famed British journalist and TV presenter Louis Theroux wades deep into the secret world of Scientology in his acclaimed new documentary, My Scientology Movie 2015. Equal parts hilarious and terrifying, Theroux finds himself being followed, filmed and intimidated as he teams up with a former high-ranking Church official to make a movie about the clandestine dealings of the organisation. My Scientology Movie screens during Theroux's first visit to Australia for his sold-out run of theatre appearances. Purchase online through qtix or at the GOMA Box Office from one hour prior to performance.